The Transformer VIP Program for $1199! Need some help with the HCG Diet? Have you lost weight before, only to gain it all back? Would you like to be healthier, leaner, and stronger? ...WANTING TO EAT MORE CALORIES AND EXERCISE ON THE Hcg dIET? but need advice from someone who has successfully lost weight this way and helped others do the same? ...not sure what to do when the HCG DIET ends? and afraid of gaining all the weight back? ...READY FOR A PERMANENT AND LASTING CHANGE? but need knowledge and accountability to make changes happen? You can lose weight on the HCG Diet, but if you don’t have a plan for when the diet ends, you’ll be right back where you started. The fact is, diets do work, in the short-term. But what happens when the diet ends? You’re back to where you started! Why? Because you haven’t learned anything new or changed the behaviors that caused you to gain weight in the first place. You’re set up to fail from the beginning! It’s not your fault, and this is why so many people struggle with yo-yo dieting and end up doing multiple rounds of HCG. A diet isn’t a lifestyle. You can’t follow meal plans or deny yourself the foods you enjoy forever. Eventually, you need to go back to real life and eat like a normal human being. And that’s when most people run into problems. They don’t know how to eat at a restaurant. How to eat on the go. How to still indulge in treats without gaining weight. How to eat in a way that fuels their activities, food preferences, and lifestyle. Until you learn how to eat in a way that is enjoyable, sustainable, and healthy, you’re going to stay trapped in the same vicious loop of losing and gaining weight. You don’t have to accept that this is the body you will be stuck in for the rest of your life. If you want to change it, you can. You just need to find the right combination of nutrition, activity, and habits for YOUR body. The Transformer VIP Program is a 3-month program with private coaching calls. It is designed to help you get leaner and stronger in the simplest and most enjoyable way possible. Coaching includes help with The Preparation Phase, The Diet Phase, The Transition Phase and the Maintenance Phase of the HCG diet, so you can slowly transition back to “real life” when the diet is over, with a plan so you don’t gain all the weight back. You’ll feel healthy, fit, and unstoppable, and build the habits you need to keep the weight off forever. No rigid meal plans. No hours of cardio or endless workouts in the gym. Just sensible, science-based advice and a customized approach to help you gain muscle and lose fat while eating like a normal human being. Hi! 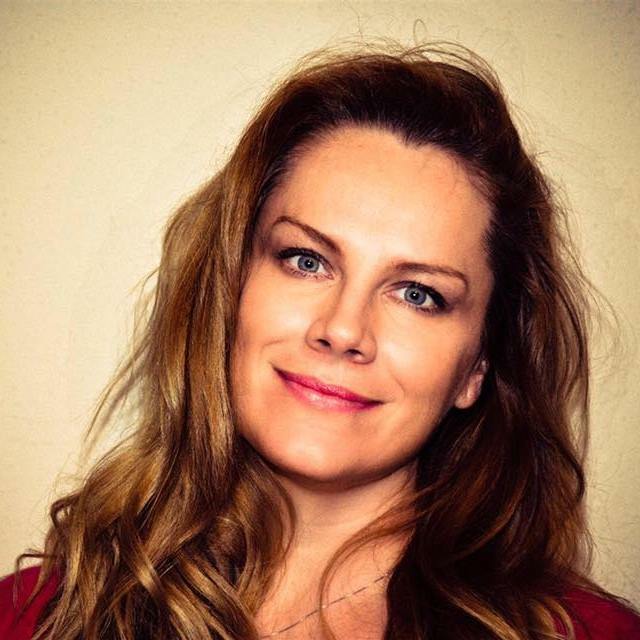 I am Adele Frizzell and the Transformer Program is my brainchild. My name is Adele Frizzell and I’m an online health coach and record-breaking powerlifter who believes in #allthefood. And yes, that means donuts and Snickers bars on occasion. I’m also an ACE-certified Health Coach with a Bachelor’s Degree in Kinesiology, and a respected authority on fitness and nutrition. I’ve written one of the most fact-based books on the HCG Diet. It’s called The HCG Diet: Fact and Fiction. My goal is to empower women to become healthy, fit, and unstoppable! I help hard losers, yo-yo dieters, busy moms, and people with slow metabolisms. I can help YOU lose weight, get fit, and learn how to stay lean without killing yourself in the gym or depriving yourself of foods you enjoy. 1. There is no one-size fits all for fat loss and fitness. 2. It’s impossible to stick with something you don’t enjoy. Grit will only get you so far. Your diet and physical activities should revolve around the easiest and most ENJOYABLE methods to get you the results you desire. Every BODY is unique, and so I work with my clients to help them with their fat loss and fitness goals. Some people love cardio, others love lifting weights. Some people hate to exercise, and so I help them find activities that they enjoy. 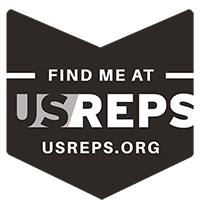 I am here to support you, educate you, and keep you accountable on your health journey. Whichever path you choose, I will help you lose weight, transform your body, and build new, healthier habits so you never have to diet again. Personally, I don’t think you need to cut out a bunch of foods to succeed at the HCG Diet. My client ate jellybeans and still lost weight the next day. I explain how in the video. When you understand the facts, you can’t fall for fiction. Stress about eating 500 calories – because you can eat more and still lose weight! Not be able to exercise while on the HCG Diet because exercising is a good thing! Stress about eating off protocol. Because you can eat a variety of foods! Commit to changing your behaviors one small habit at a time. Meal prep at least one hour a week (this will save you time during the week). Track your weight and send me your tracker each week. What will you get with the 90-Day Transformer Program? Help with The Preparation Phase, The Diet Phase, The Transition Phase and the Maintenance Phase of a diet, so you can slowly transition back to “real life” when the diet is over, with a plan so you don’t gain all the weight back. Each week, you will receive a new nutrition and health lesson with homework. You will come to see how your weight and health is affected by your daily choices and habits. Whether it’s an invitation to join the green smoothie challenge, or a 65-page recipe book, I’ll be gifting you with some special bonuses throughout our 12 weeks together! You’ll get an onboarding call with me, plus one 45-minute call with me every 2 weeks to check on your progress, and adjust any goals so you are set up for success. If you want more individual attention and accountability, you have the option to invest in more calls. You’ll be invited to participate in any group lesson discussions and client success interviews. There will be a Q & A session at the end so you can have your questions answered. You will master the skills of flexible eating so you can continue enjoying the foods you like, perhaps tweaking them little by little (as needed) so that they become healthier over time. Each month, you will be provided with a Kickstart Home Workout that you can do in the comfort of your home. This 15 to 30-minute workout is focused on improving your strength, mobility, and core and could complement your existing activities. If you want to get serious about weight training, you can contact me about purchasing a customized program. You can email me anytime and I will respond within 24 hours, Monday – Friday (except holidays). This means you’ll have access to me between our coaching calls so that we can keep the momentum going and deeply embed your new habits. Each week, you’ll be challenged to set a new health, fitness, and wellness goal for yourself so that at the end of 3 months, you’ll have a completely new set of healthy habits! Due to the level of effort involved, enrollment for the Transformer VIP Program is limited to 5 clients a month. Is the Transformer 90-Day Program really as good as it sounds? YEP! There’s so much packed into this course! In 3 months you’ll feel and look better, and have a whole different outlook on nutrition and fat loss. No BS, just sensible, science-based advice and a customized approach to help you gain muscle and lose fat. You’ll get to eat like a normal human being once the diet phase ends, and enjoy more food freedom. Check out some of the testimonials from previous clients here. Can I do this program while I'm on the HCG Diet? It’s perfect for those who are interested in rapid weight loss, like my client, C, who lost 60 pounds with HCG and Flexible Dieting. You can read about her journey here. Will you coach me through a round of HCG and P3? Yes, I coach through all phases of the HCG diet and into maintenance. You can join on your loading phase or anytime during P2. The program starts May 15. If your HCG hasn’t arrived by then, that’s perfectly fine. You can still get started in other ways. Remember: The focus is on nutrition, exercise, and lifestyle change while losing weight. You build habits and learn how to keep the weight off permanently right from week 1. This is so you can go from P3 to “real life” smoothly and easily. How quickly will I be able to start once I pay? Shortly after you make the payment, I will send you an email with some forms to complete and a link to book an onboarding call with me. You’ll then receive a “Getting Started” package. A few days later, you will receive your first lesson. About a half a pound a day of weight-loss, on average. Most women can lose about 15-20 pounds in a month in P2. Leaner individuals, and those with hypothyroidism may lose a little less. You can expect to gain a little muscle as well. Your clothes should start fitting better right away. Body Weight Scale – You don’t need to spend big bucks, you just need a scale that is consistent in its read out. Meaning, if you measure yourself three times, the number doesn’t change. Food Scale – If you don’t already have one, be sure to buy a small kitchen scale that converts grams and ounces and will allow you to reset the weight to zero if you have something on it, such as a dish. These cost $20 and up. Tailor’s Tape – so you can take your body measurements each month. What is the time commitment to this program? You’ll need to set aside about 1 to 2 hours a week for lessons, quizzes, and homework as well as coaching calls and any webinars you wish to attend. Knowledge is power, and when it’s combined with action you become truly unstoppable! You’ll also need to set aside time to meal prep. Don’t worry, this is going to SAVE you time and money during the week and we’ll show you how; there’s an entire lesson dedicated to this topic. Each week is an opportunity to build new healthy habits. No refunds will be given for the Transformer Program after 7 days have elapsed from the start of the program. For our purposes, Day 1 begins when Lesson 1 is emailed to you from Adele Frizzell LLC. It is not based on when the email/lesson is claimed to have been received and/or opened. Any money paid, either in full or in part, is non-refundable and non-transferable after seven days. To request a full refund, please send an email to Support@AdeleFrizzell.com before midnight CST on Day 7 of the program. No explanation is required. What if I need a little extra help? Not a problem! 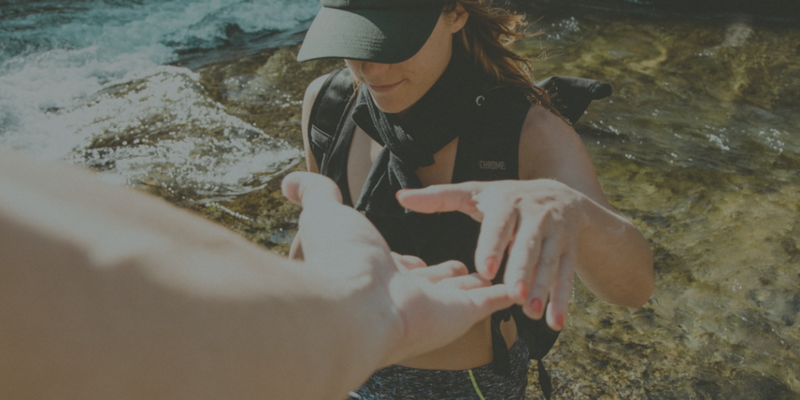 You automatically get 1 onboarding call and a private coaching call every month but if you need a bit more help, you can purchase additional private coaching calls anytime you like. A 3-call package is $250 (calls are normally $100 per session). Each session can be up to 45 minutes long. Time slots are subject to availability. There may also be an option to speak with another coach at a reduced rate – please email Adele@AdeleFrizzell.com for more information. Don’t forget: you can also email me and I’ll reply back Monday – Friday, 9-5 CST. I usually respond within a few hours. Is it REALLY only $999 for 3 months? Are there any hidden costs? Calling Packages: One onboarding call and one private coaching call a month is included in the program. Anytime you feel like you need a little more one-on-one help, you can buy more coaching calls. One 45-minute call is $100 and a 3-call package is only $250. There may also be an option to speak with another coach at a reduced rate – please contact me for details. Strength Training Programs. I can create a customized weight training workout based on your schedule and goals. Packages start at $199 for 3 months of programming. Please email Adele@AdeleFrizzell.com for details. Think about it. How much have you spent on weight-loss products and diets over the years only to gain the weight back? With a focus on empowering you to make permanent and sustainable changes to your nutrition, fitness, and lifestyle, The Transformer is a small investment in your long-term health and happiness. What if I don't want to do the Kickstart Workout? You can do any kind of exercise you like. The goal is to get you in the habit of exercising, and to find something you enjoy doing! If you’re interested in lifting weights in a gym and building more muscle and strength, you can purchase a customized weight training program for only $199 for 3 months. Email Adele@AdeleFrizzell.com for more information. Yes! The Transformer is $999 for 3 months, one-time payment. If you wish to pay monthly, the cost is $399 per month. 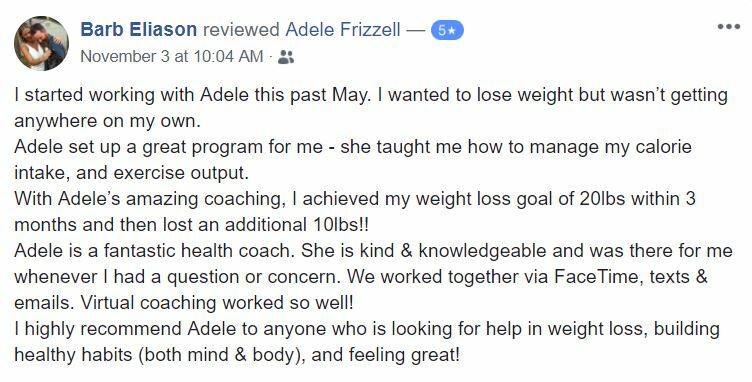 I highly recommend Adele to anyone who is looking for help in weight loss, building healthy habits (both mind & body) and feeling great! I love Adele’s no BS, fact and science-based approach to health and fitness. No fluff, no unrealistic promises, just honest-to-goodness, helpful information and guidance. With her help, I lost weight when nothing else was working and she gave me the tools to keep it off. She has helped me recognize and alter daily habits that were sabotaging my fat loss progress, and it has made huge improvements in my life.